On the evening of 1st December, in the presence of several major media personalities, the hotel guests and staff, the Christmas tree lighting ceremony was held at the Sanya Hilton Resort & Spa. Decorated with Christmas costumes the entire hotel joined in in the festive atmosphere, with the lobby dominated by a three story high Christmas tree. 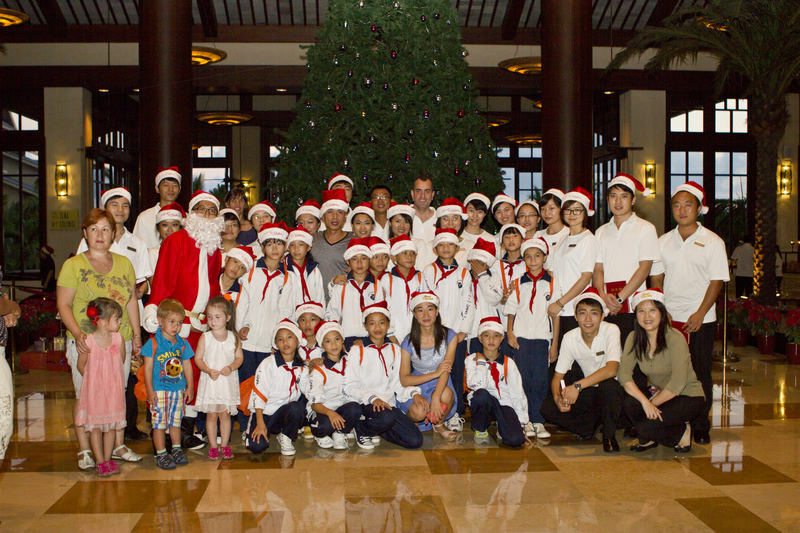 The traditional Christmas tree lighting ceremony at the hotel began with the staff choir and a group of grade 5 pupils from Tengfei Primary School singing Christmas carols at 5:30pm., wearing Christmas hats and dressed in choir dresses. With the traditional Christmas songs and Christmas desserts, baked goodies and wine on offer, all the guests were in a festive mood. “For the upcoming Christmas holidays, I want to say thank you to all our guests for your support and help throughout the year, and that I also appreciate the effort made by our staff over the last year.” said Mr. Stephan Stoss, the general manager of the Sanya Hilton Resort & Spa. 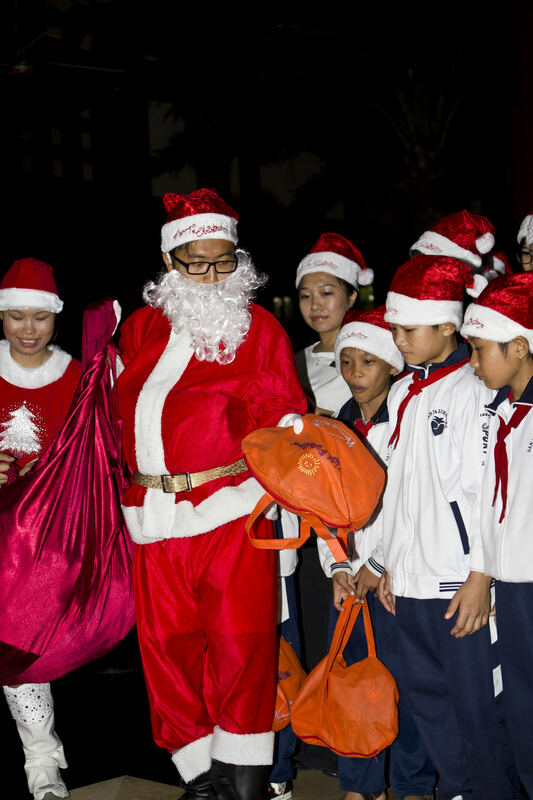 Later Mr. Stephan Stoss, the hotel’s general manager, invited the students to light the Christmas tree together, whilst Santa Claus made a special appearance carrying gifts for the guests.